Arabian Breeders Association Lifetime Breeders award. Avatar Arabian Farm, located near Lansing, Michigan, has been breeding fine Purebred and Half-Arabian horses since 1968. 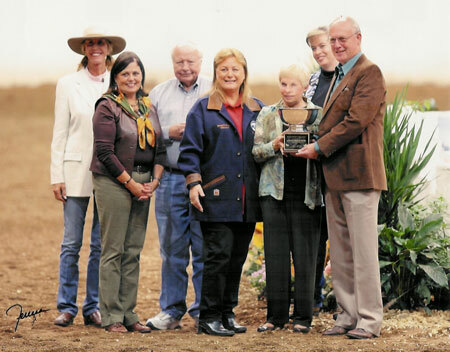 Horses by the Avatar stallions and/or out of the Avatar mares have won numerous US and Canadian National Championships and Reserves in performance and many National Top Tens, including 8 U.S. Top Tens in halter. Horses of Avatar breeding have won at the Regional and National level in virtually all major performance divisions, have won in racing, and excel in competitive trail. They are beautiful, powerful,and agile; balanced, cadenced, and supple. Kind and intelligent by nature, they are recognized for character, trainability, gameness, soundness and durability. They are wonderful amateur mounts. Avatar has stood two Breeders Sweepstakes Leading Juvenile Sires, Avatar al Sufi and Percussion, both sires of National Champion performance horses and National halter winners. Above all else, Avatar horses are bred to be superb personal mounts well-suited to a variety of uses, and intelligent, personable and willing athletes. Avatar horses are typically sound and useful into their twenties, and several have had show careers that spanned twenty years or more, among them Rhythm and Blues, Sufi’s High Command, and Tsabre Al Sufi. Avatar al Sufi, Percussion, and Oran’s Adagio were all ridden into their twenties. Avatar has been home to four Arabian Horse World Aristocrat Mares: Bint Buena Suerte, Avatar Bihandra, Avatar Andromeda and Hillcrest Tsainte, as well as breeder of record of Per Brio, an AHW Aristocrat Mare for GasLight Farm. Please call to discuss your needs, and what the Avatar stallions or the acquisition of a fine mare or filly from Avatar can do for your breeding program. Looking for a performance prospect? We sell Regional and National Champions-to-be. Ask for Jan Senneker. The Avatar stallions are available by private treaty to approved mares, Purebred or Half-Arabian and mares of other breeds.